The sleek, contemporary property operates as a mixed-use resort, accommodating members of Wyndham’s first vacation club in Asia, CLUB WYNDHAM® ASIA, as well as traditional hotel guests. Mr Benbow will be responsible for managing the day-to-day operations of the resort, which features four restaurants, eight swimming pools, a day spa and a fully equipped gym. The resort’s meeting, events and conference facilities cater to intimate functions or larger conferences of up to 200 delegates with tailored packages to suit any requirements. The resort offers eight room types, which come with either an outdoor Jacuzzi on a private balcony or have direct access to a semi-private pool. The Deluxe Suites and Villas include their own private infinity pools. 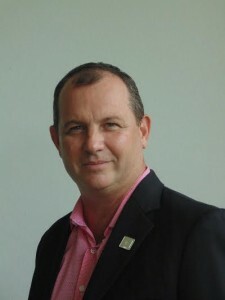 Most recently, Mr Benbow was the General Manager of the four-star Mercure Resort Bali Sanur. He brings with him extensive experience in hospitality and held management roles at Pullman Bali Legian Nirwana, Centara properties in Koh Samui, Pattaya, and Krabi in Thailand, as well as hotels in China and the Maldives. Senior Vice President of Resort Operations and Property Development Matt Taplin said Mr Benbow’s wealth of knowledge and experience in resort and hotel operations would make him an asset to the Wyndham team. Constructed in 2011, Wyndham Sea Pearl Resort Phuket is perfectly positioned a short distance from Patong Beach, a beachfront destination popular with tourists. Located on 15 acres of hillside, the property boasts 180-degree views of the Andaman Sea.